Who Wrote This Map Anyway? Going “off trail” hasn’t ever really gone well for us. There was that one time when faded blazes and disappearing paths tempted us to rely on our own sense of direction. After walking for miles blindly following a map, we stopped and agreed, “This can’t be right!” “Who wrote this map anyway?” Trusting our keen “inner hiker” instincts, we set off in a direction that seemed shorter, or smoother, or just better. Yeah. After an hour or so, we saw the sign. 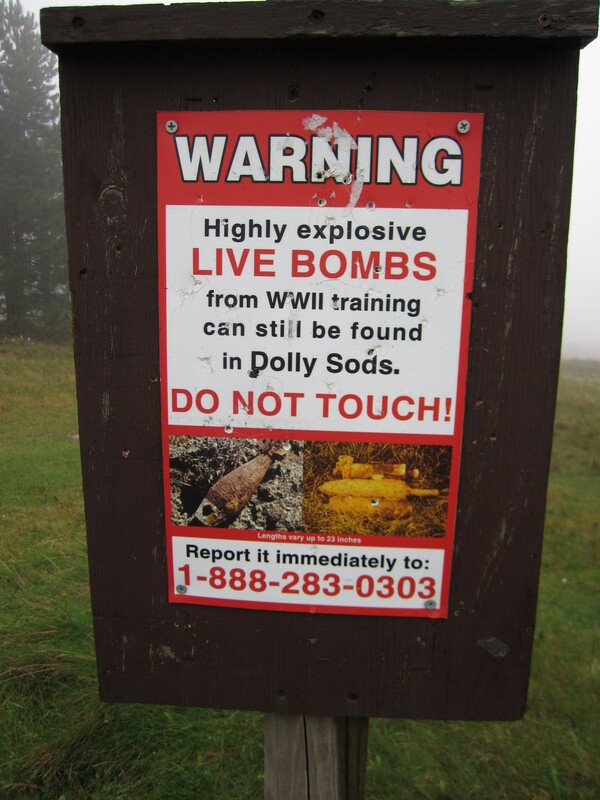 Yes, Dolly Sods was a World War II testing site. And going “off trail” there has some interesting consequences. When lost in life’s most challenging seasons, CS Lewis reminds us to continue following the path: “Was the map wrong? Maps can be wrong, but the other explanation is more often true.” Just as most computer problems occur between the keyboard and the chair, many of life’s challenges happen when we stop looking at the signs. Maps and trail signs are very useful things. So what are the signs? Start reading the Bible and you’ll find that sometimes the warnings and markers are glaringly obvious. One of God’s most grand and obvious signs to us is marriage. It is His way of saying, “I love you. I will never stop loving you. I’m your husband, you are my bride.” Whether you are married or not, let this “map” of relationship, commitment, covenant, and joy really sink in. God said “I do” to you! Imagine it! You are eternally His! Have you been faithfully following His trail? This week’s hike was at McConnell’s Mill’s Hell’s Hollow Trail. Icy and muddy but the “signs” that Spring has come were everywhere: robins, singing cardinals, and green grass peaking through the snow!